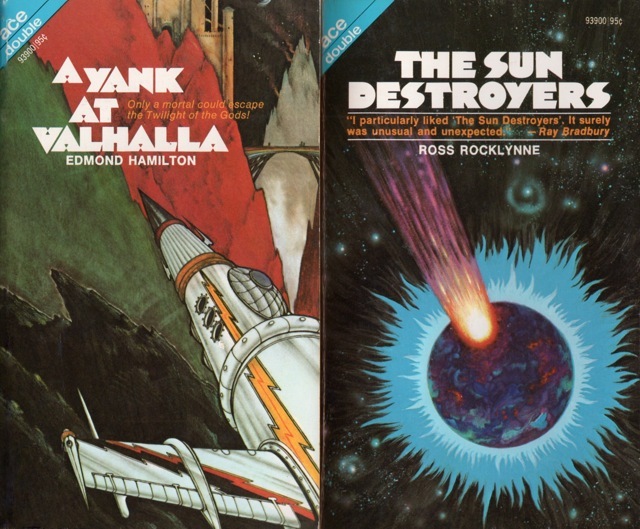 Last month, we invited Black Gate readers to send us a one-sentence review of their favorite Edmond Hamilton novel or short story. 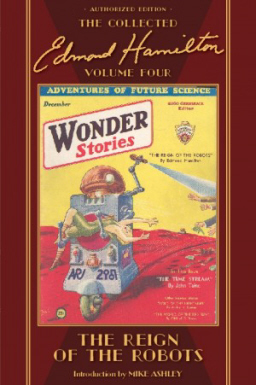 In return, we offered to award a copy of the long-awaited fourth volume of The Collected Edmond Hamilton from Haffner Press to one lucky winner. The winner was randomly drawn from the list of all qualified entrants. John Gordon, suffering from an existential crisis, agrees to travel through time and space to the far future where he gets caught up in a sweeping space opera full of cosmic space battles, beautiful princesses, and bizarre monsters. Andy Sheets gets bonus points for a completely à propos Alan Rickman reference. How can you not be enticed by a story about an out of step WWII veteran getting mind-swapped into the body of a prince 200,000 years in the future, hooking up with a foxy future princess, and battling The League of Dark Worlds, lead by a guy who should totally be played by Alan Rickman in the movie, with a super-weapon called the Disruptor, all tightly packed into a fast-moving novel not even 200 pages long?! Dustin Nadeau compares Hamilton’s Star Kings to another Golden Age great, E.E. “Doc” Smith. 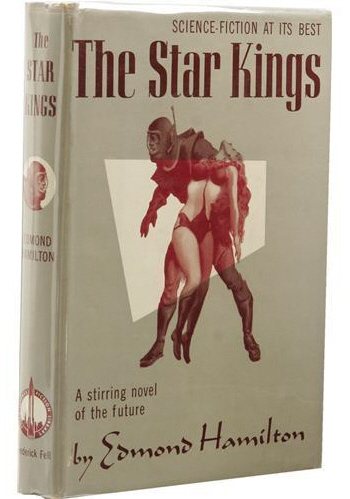 Combining the grand-scale imagination of Doc Smith with the sensibilities of epic fantasy, Hamilton incorporated all of pulp’s finer virtues in The Star Kings while skillfully avoiding many of the form’s shortcomings. Not bad, but it loses a little magic without the Alan Rickman reference. 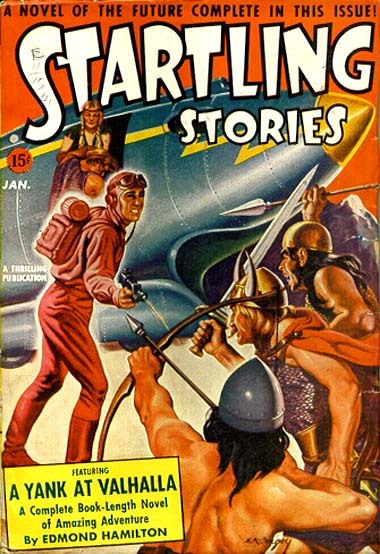 Hamilton’s Star Kings first appeared in the September 1947 issue of Amazing Stories. It was published in hardcover by Frederick Fell in October 1949 and reprinted in paperback under the title Beyond the Moon in 1950. Or the 1970 version from the same publisher. 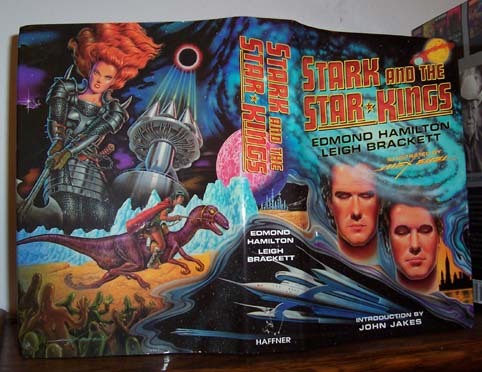 More likely you’ve seen the deluxe edition from Haffner Press, which collects two of Hamilton’s Star Kings novels alongside three Eric John Stark tales by his wife, Leigh Brackett, and the previously unpublished collaboration “Stark and the Star Kings.” This volume appeared in 2005, with a gorgeous wraparound cover and interior art by Alex Ebel. 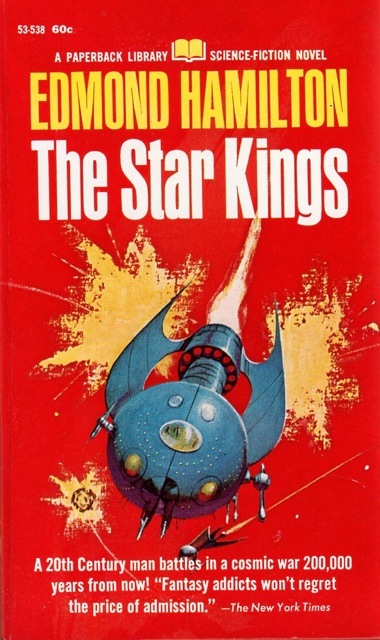 Mike Taylor shifts gears a little, reminding us that Hamilton wrote more than just The Star Kings, with his review of an often-forgotten Hamilon novel from 1941. A Yank At Valhalla…. is a rip-roaring tale of an American flyer who lands on an Arctic island full of Norse gods where he battles the evil Loki in an attempt to forestall Ragnarok. A Yank At Valhalla was originally published in Startling Stories, January 1941. 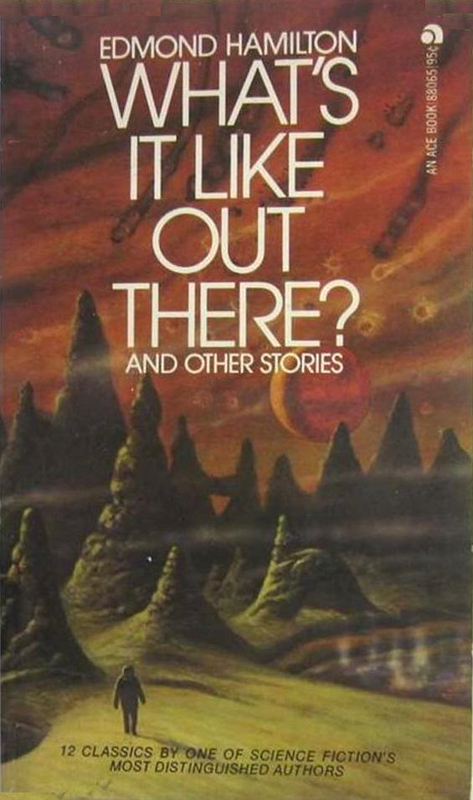 It was last reprinted as part of an Ace Double in 1973, paired with Ross Rocklynne’s The Sun Destroyers. Nice job with the obscure pulp reference, Mike. “The Man Who Returned.” My review — A guy returns from the grave and decides he’s better off dead. Short and sweet. 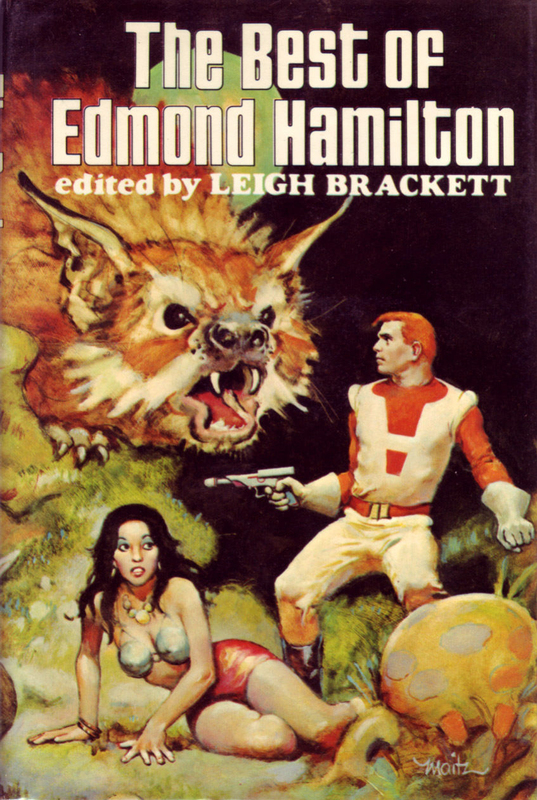 “The Man Who Returned” was reprinted in 1977 in The Best of Edmond Hamilton. 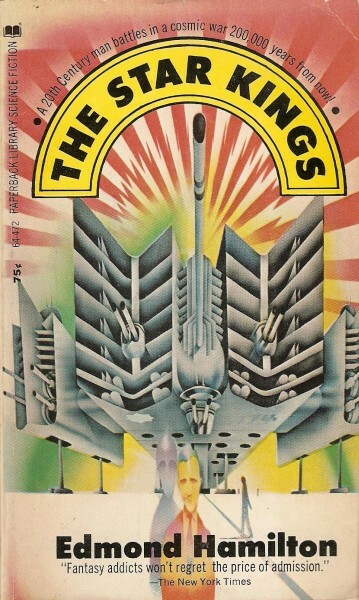 Here’s the Science Fiction Book Club edition, with a classic cover by Don Maitz. Ran Rarak and his intrepid crew (with a little help from the irate Federation fleet) save the earth from a hydrogen pilfering race of animate black cones. 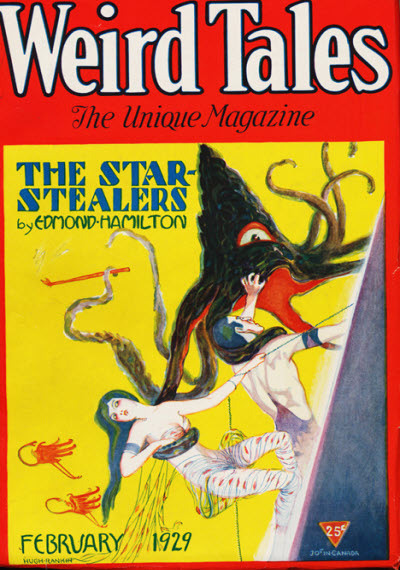 “The Star Stealers” was the cover story of the February 1929 issue of Weird Tales. I usually love Weird Tales cover art, but boy, that cover is terrible. Except maybe for the young lady’s pants, which look kinda groovy. 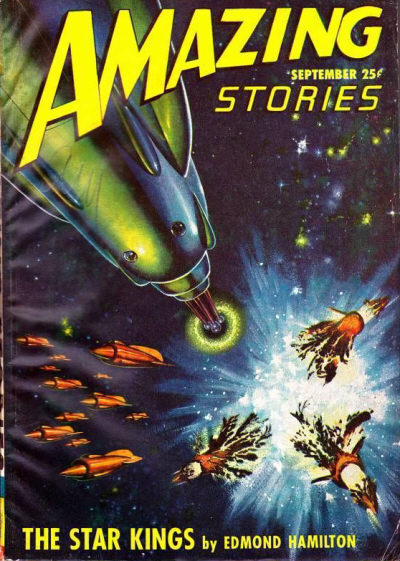 And the one-eyed, tentacled coneheads from space. Lucius Sorrentino puts in a word for one of Hamilton’s most famous short stories. “What It’s like Out There” is a deeply moving story of the price humans pay for venturing into space. “What It’s like Out There” originally appeared in Thrilling Wonder Stories, December 1952. It became the title story for Hamilton’s 1974 collection from Ace Books, widely regarded as one of his finest collections. I have this book, so I’ll answer the question here just to generate comments rather than enter the contest. As much as I love “What’s It Like Out There?”, I think I will have to go with “He That Hath Wings” as my favorite simply because of the symbolism of a winged man who cuts his wings off for a woman. 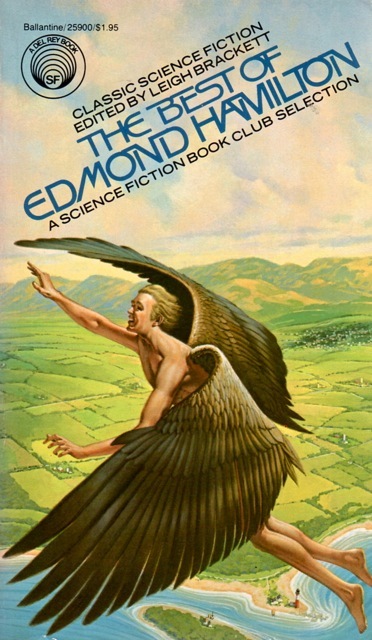 “He That Hath Wings” clearly inspired H. R. Van Dongen’s cover for the 1977 Del Rey paperback edition of The Best of Edmond Hamilton. Well, enough rhapsodizing over the work of my favorite pulp writer. Time to declare a winner! Congratulations Dennis! We’ll be in touch to instruct you on how you can receive your copy. Many thanks to the marvelous Stephen Haffner at Haffner Press for sponsoring this contest. Haffner’s archival-quality hardcovers — including The Complete John Thunstone by Manly Wade Wellman; Henry Huttner’s Detour to Otherness, Terror in the House: The Early Kuttner, Volume One, and Thunder in the Void; Leigh Brackett’s Shannach – The Last: Farewell to Mars; and Robert Silverberg’s Tales From Super-Science Fiction — are some of the most collectible books in the genre and you won’t want to miss this one. 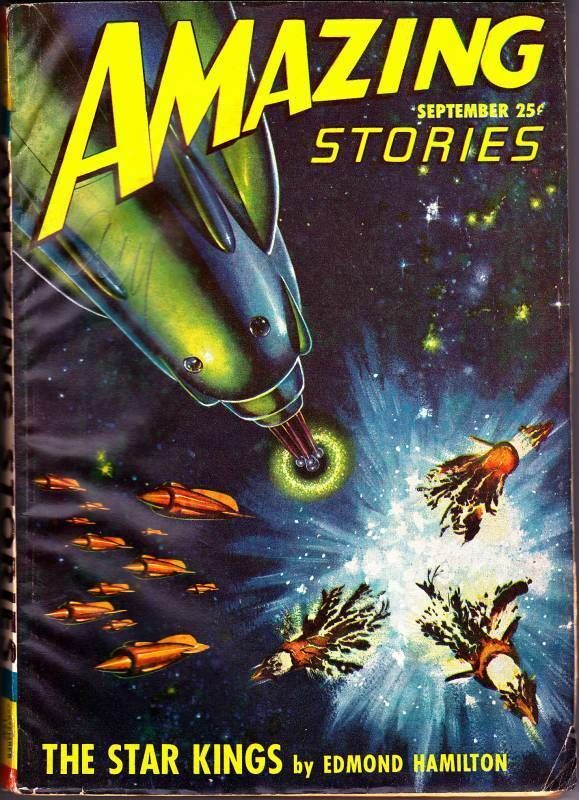 If this article has made you at all curious about the work of Edmond Hamilton, I urge you to check out his collections, available at most well-stocked used bookstores and of course online. We recently covered several Hamilton books — including Starwolf and The Best of Edmond Hamilton — and we reprinted his very first story, “The Monster-God of Mamurth” (from the August 1926 issue of Weird Tales) in Black Gate 2. 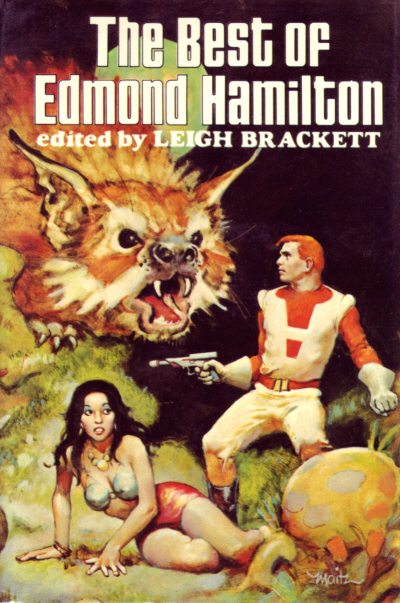 But the best place to find his early work is in the ongoing Collected Edmond Hamilton volumes from Haffner Press, the first (and long overdue) complete collection of Hamilton’s short — and not-so-short — pulp stories. The Reign of the Robots, The Collected Edmond Hamilton, Volume Four was published by Haffner Press on December 30, 2013. It is 696 pages, priced at $40 in hardcover. There is no digital edition. Learn more here.